Welcome to Begbies Traynor Exeter. We are a group of licensed Insolvency Practitioners in Exeter offering services to help companies with either rescue or closure options. Exeter Address Balliol House, Southernhay Gardens, Exeter, Devon, EX1 1NP. 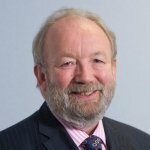 With over 30 years’ experience in the field of corporate insolvency and recovery, Ian Walker is a very highly regarded figure in our industry and an important member of the Begbies Traynor team in the south-west of England. Ian joined us in 2000 and since then, he’s been helping to ensure companies based in and around Exeter get expert advice whenever they face financial difficulties and the threat of insolvency. Facing up to, and tackling serious financial trouble and distress is not easy and it presents even the most able company directors with stiff challenges to overcome. Begbies Traynor’s Exeter office is staffed with experienced specialists and insolvency practitioners who provide the advice and guidance that is so badly needed under these circumstances. What matters most when your company is struggling to stay afloat and fend off creditors is that you understand your options as fully as possible and that’s where we at Begbies Traynor can help. Without a working awareness of what choices remain feasible, a bad financial position can easily become far worse and the scope of potential routes forward will diminish. Begbies Traynor has a strong reputation and a proven track record of working with, and providing valuable services to companies of all sizes - from local SMEs through to international corporations. To find out how we might be able to help you, call us directly to arrange a free initial confidential consultation. We do have further offices in the South-West region which are located in Bath, Bournemouth, Bristol, Cheltenham, Oxford, Salisbury and Swindon which you may find more convenient for you. The future of 44 jobs has been saved after funding was secured to set up a new renewable energy company.